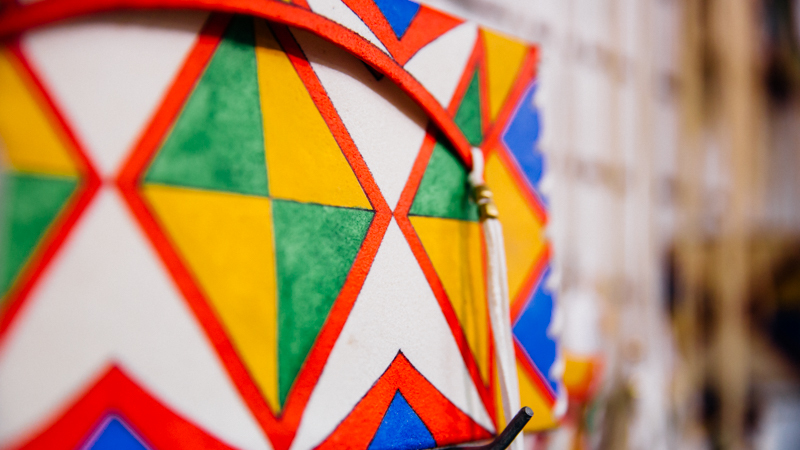 The Heritage Center’s Gift Shop provides a needed source of income for local Native artists –‒and helps to preserve traditional crafting techniques for future generations. Once each month, Carmen Little Iron opens the doors of The Heritage Center’s gift shop and prepares to welcome artists from across the Pine Ridge Reservation. 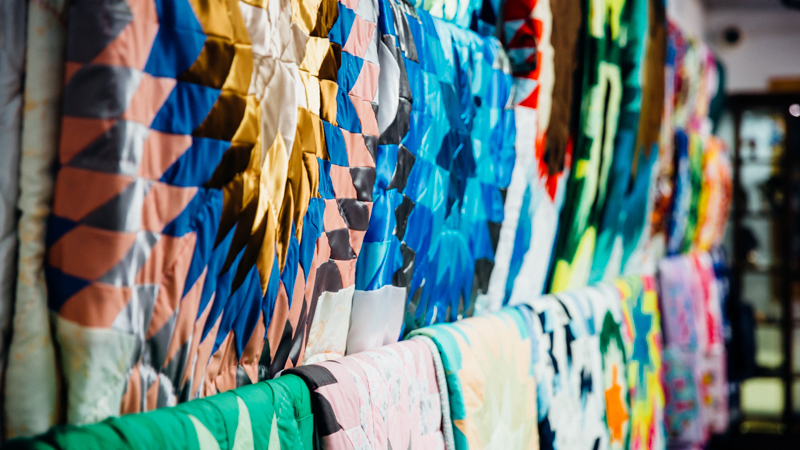 Wednesdays are buying days, when artists come to share their most recent work—everything from intricate bead and quillwork, to carved antler jewelry, to the vibrant star quilts. As the gift shop’s manager and buyer, Carmen selects the pieces that will line the gift shop’s walls and its glass cases. But her true goal, she says, is to help create sustainable sources of income for the Lakota artists who are keeping culture and heritage vibrant here. For many Lakota families on Pine Ridge, creating art is a core element of both cultural experience and economic necessity. Approximately 80 percent of reservation residents are unemployed, simply because there is no infrastructure to create jobs. More than half of households here rely on a home-based enterprise for income—and of those, nearly 80 percent create and sell some form of traditional art. Yet the majority of these working artists continue to live below the poverty line. Most lack the training, transportation, and resources needed to market their work more broadly. That’s where The Heritage Center comes into play. As part of its core mission, it has purchased and promoted the work of local working artists for over three decades. By selling art in its gift shop and through its online store, it provides a crucial source of income to Native families and communities. And according to Carmen, The Heritage Center also plays an important role in helping educate visitors about the extraordinary talent that exists here. “For a long time, scholars would say that the Lakota people didn’t have art. But they simply couldn’t see it. For us, art is everywhere, incorporated into the objects we use in our daily lives. By creating pieces that we can wear or hold—rather than just hang on a wall—our artists are carrying on that important tradition,” she explained. Carmen regularly works with a pool of more than 100 artists from the local Pine Ridge community as well as from reservations across the region. And she doesn’t just buy their art: she gets to know each of them more personally, learning about their histories and the lives of their families. She asks what inspires them to create—so that she can share those details with visitors from across the country and around the world. More recently, Carmen launched an outreach and awareness campaign called Hówašte—Lakota for “to speak with a good or beautiful voice”—to give artists a chance to share their own stories directly. Now she spends time traveling across the region to interview artists about their lives and what it means to be a working Native artist. The Heritage Center team is always looking for new and innovative ways to connect with and support more artists. Through a partnership with the First Peoples Fund’s Rolling Rez program—which transformed an RV into a mobile retail, training, and banking center—they can visit and purchase work from artists who aren’t able to travel. And they continue to expand the center’s online store and social media presence to reach new audiences. The artists who sell their work through The Heritage Center say these efforts are making a significant impact in their lives—and in the lives of their families and communities. Parfleche artist Shawn Espinosa, who graduated from Red Cloud Indian School in 1997, is able to maintain his love of traditional art while also supporting his family. 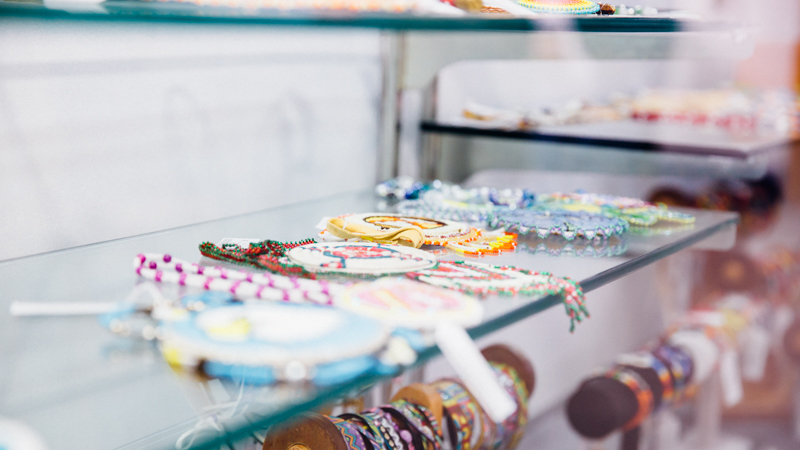 And for beadwork artist Kelly Peters, a single mother of three, sharing her work with The Heritage Center has helped her reach new customers—and a sustainable source of income.